In 1996, Jason Wade of Lifehouse got a rock band together by the name of Blyss (or Bliss according to some). Within three years they had recorded an official EP, Diff’s Lucky Day (rumored to be getting a reissue in 2008), a mysterious album called Fuse which nobody seems to know anything about, and a bunch of unreleased songs. Wade had a traumatic childhood. His family moved a lot. He began his life in California, went to Japan, Thailand, Singapore, Hong Kong, Portland in Oregon; all before Junior High. After his parents got divorced, he moved to Seattle, Washington with his mother. When he was fifteen he and his mother moved to Los Angeles. Blyss played in Seattle and Portland. The group then changed their name to Lifehouse and re-located to L.A. There you have it, the relatively unknown beginning of the band Lifehouse. I don’t have a whole lot more to say about Blyss, because there really isn’t that much out there about the group. I like some of these old songs better than some of the current Lifehouse stuff. The lyrics are more obviously about God, and some would be amazing to do in a church worship setting. The sound is your standard post-grunge alternative rock Lifehouse kind of sound, with a little less production and perfection. It’s a little more raw. If you wanna get ahold of more Blyss songs (and other unreleased Lifehouse stuff) go here and sign up for an account. I’ve never gotten spammed from them, so it’s pretty safe I think. Hey nice post. I’ve actually done a few posts about these guys in their early days. You can also get a lot of their early stuff for free at Lifehouse-media.com. Just sign up and you get like 30 DL a month. You should check out the early version of “Storm” and ” He can move The Mountains” Great stuff. I really hope they re-release this stuff next year. Lifehouse-media.com is awesome. The Blyss stuff and acoustic versions on-line there are really great. Great find! I’m really liking the song Joshua a lot. The album ‘Fuse’ was by another band called Blyss/Bliss, they had already copyrighted the name which is why Jason’s band was renamed, Lifehouse. Fuse has nothing to do with the band currently called Lifehouse. 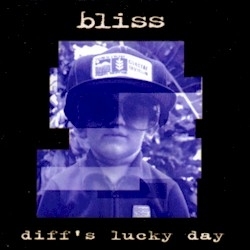 Diff’s Lucky Day is the only EP that they released, along with many other b-sides. I bought Blyss’s cd Diff’s Lucky Day off Ebay….. Anyone know what how much it is worth now? Someone have Take me Higher Sond?